Lyman Essential Rifle Mat | BUDK.com - Knives & Swords At The Lowest Prices! 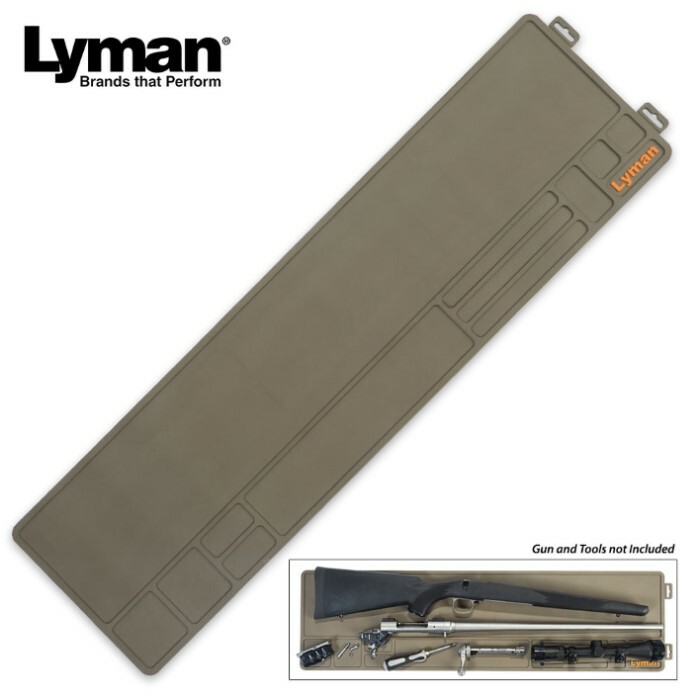 The new 10”x36” Lyman Essential Rifle Mat is the perfect accessory for shooters working on rifles or shotguns. 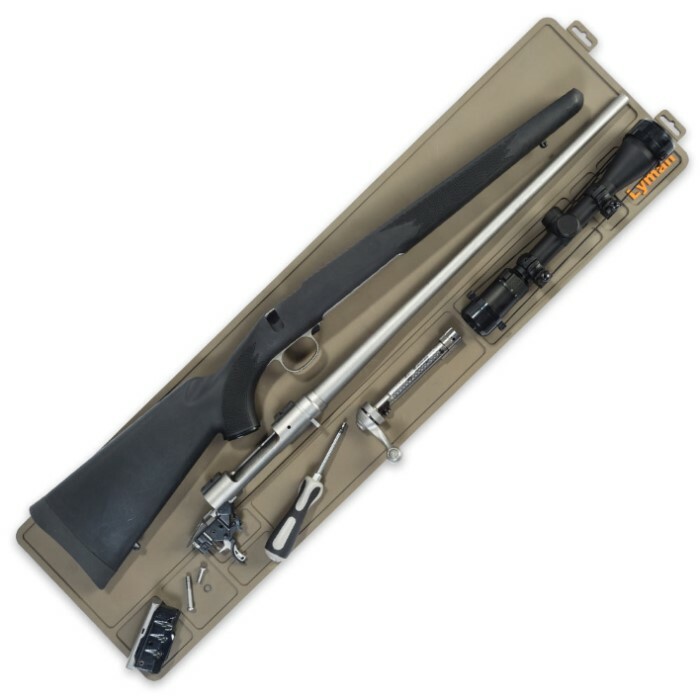 Its firm, yet cushioned surface is perfect for assembling or disassembling firearms. It has molded in compartments which keep small parts and screws handy yet out of the way. In addition, the mat is chemically resistant and cleans up easily. Protect you firearm’s finish as well as your bench with this full length rifle mat.